I’m not really much of a Halloween sort of guy. What little I do for Halloween is indulge my kids’ interest and get candy cheap once the holiday is over. I’ll even hand out candy to the little thugs that stop by if I’m in a good mood. It’s an interesting take on things, but fundamentally flawed when it comes to gaming. At least, for some players. Yes, in an era of Facebook, XBox Achievements and Blizzard’s new battle.net services, where players are competitors first, pride provokes participation, and ego is the raison d’être, the tacit assumption is that the biggest reason for playing is so that others know about it. This isn’t a surprise, but it is unfortunate. Gaming becomes less about the game itself, great game design, or even fantastic experiences, and simply becomes a way for nerds to feel like jocks. This has all sorts of deleterious effects on sociality (the infamous Counterstrike “emotes” being an easy example) and game design (MMOs reveling in the rut of racing rats on treadmills, idiotic “achievements” that detract from gameplay). To be sure, some of this comes from reflexively being the contemptuous, confrontational CroMagnon cretins we are when internet anonymity facilitates and magnifies stupidity, but more and more, games are built around this impulse. It’s certainly profitable, but more and more, I find such a trend to be disturbing. Perhaps there’s no going back to more innocent times when games were things to enjoy, not work at for the equivalent of a part time job that costs you money. There may not be a way to stuff the Gamer Score Genie back in the bottle. Pandora’s preening peacocks are noisy, obnoxious beasts, but we’re stuck with them. I think that it is unfortunate that they have such a significant bully platform, but perhaps that’s just the inevitable result of a society that manages to grow old without growing up. Still, I’m sitting out this rat race. I still find much more joy in the journey than I ever would by finishing it before someone else. I don’t need someone else to feel superior to so that I can have fun in a game. The “marathon to MMO” analogy works with the business model fairly well, though. People buy their entry tickets, and start running. They aren’t charged for each hour they run, or even for each mile they run, and they certainly don’t buy perpetual access to the route. They buy access to the complete route for a chunk of time, after which said access is summarily cut off. Is it any wonder why both the elitists and the hosts are troubled when these slower runners don’t play by the same unwritten expectations? It’s the exact same mentality as those who say that a subscription to an MMO is a “level playing field”. It certainly is, if you’re only looking at a couple of variables and assuming the rest, blithely ignorant of diverse goals. (To be fair, there isn’t financial impetus to acknowledge diversity. “One size fits all” pricing doesn’t have room for that sort of reasoning.) Slower runners don’t fit the mold, and will always be a problem for the race mentality, even though the administrators are more than happy to take their money. Not everyone is interested in the race. Some are only interested in the route and the roses along the way. These people are not “doing it wrong”, they are not misguided souls in need of correction, rehabilitation and scorn, they are not denigrating the sport/game. If you as a game or marathon provider let them in and take their money, they are your customer. If you don’t want your experience soiled with their presence, don’t take their money and don’t let them in. If you’ve ever had an inkling to play with Rube Goldberg devices or physics based games, TIM stands as a masterwork in the field. The puzzle part of the game is worth the price alone, but the sandbox is the part that I’ll be introducing my little girl to. She loves World of Goo, and this should be a blast for her. (And hey, it’s even educational!) This, WoG and Crayon Physics are the trifecta that make me happy as a gamer who managed to grow up, hoping to help my little ones find happiness in games. They don’t make ’em like this often, and when they do, they really should be applauded. It’s well worth a read. Sometimes, the best way to avoid making a dumb mistake is knowing what it is. Brian “Psychochild” Green thinks modern MMO design lacks adventure. I concur. I can’t help but think that this is largely due to the developer impulse to control the game experience, rather than let the reins loose a bit and let the players be the content. It’s wholly understandable, considering just how badly players can screw things up, but realistically, in a medium where audience choice is key to the experience (games), you must let players control the experience to some degree. There’s no way around it if you’re actually making a game rather than a movie or Skinner box. Games are interaction, experimentation and play. We’ve lost that along with the adventure. MMOs in particular need not spend time and effort trying to make groups of players go through a Pavlovian script, but rather, to leverage the inherent variability and instability that comes when you have people interacting as independent, yet interconnected, agents of change. That’s part of the promise of these Multiplayer games, after all. 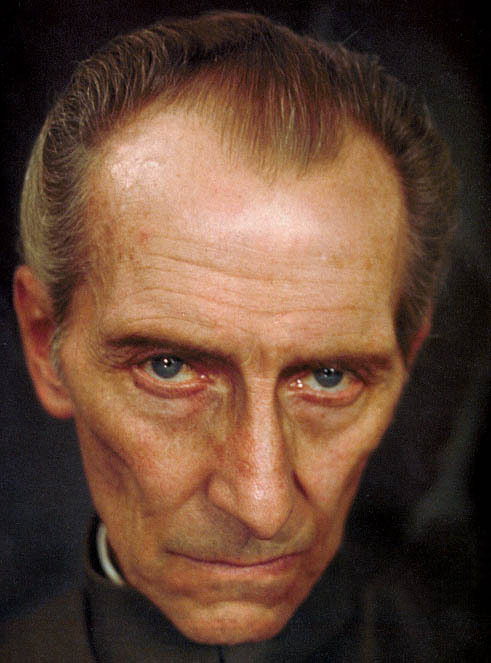 So, Luke, you scrappy little Force user with little more than dreams and prophecy to drive you, stop wasting your time with batches of ten womp rats. Start flying a borrowed bit of middleware machinery, and craft a plan to demolish the triumphantly technological, carefully controlled Death Star that is modern MMO design. Some of the clumsy few may die on the way through the trenches (R.I.P. 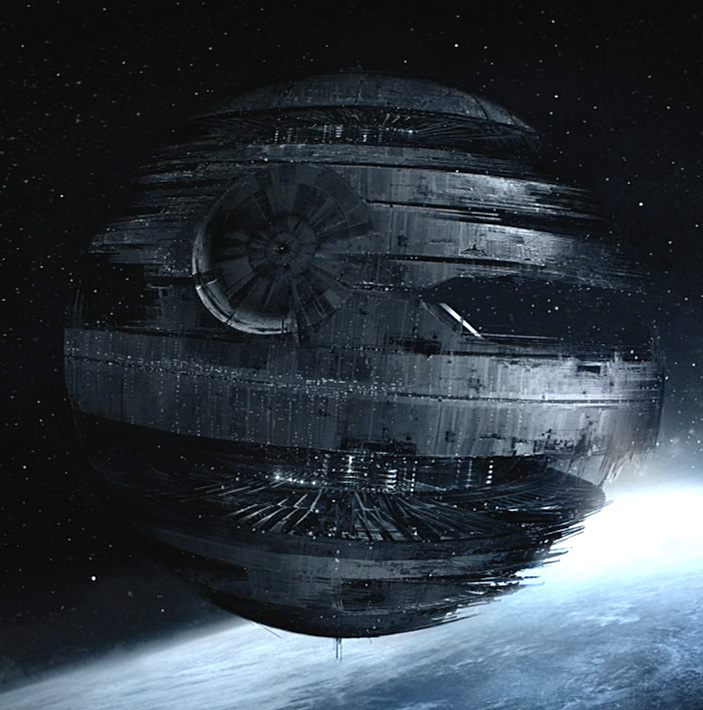 Vanguard), but all it takes is one perfect shot to show that the Empire isn’t invincible. The freedom of sentients everywhere depend on the actions of a brave few! Disclosure: I am not in the SWTOR beta, and I don’t think it will be the Force I’m looking for. My inspiration for this relatively quick post(considering the expansive topics, anyway) comes from two somewhat disparate sources. First is the talk given by Dieter F. Uchtdorf recently about how work and learning sustained him during his rough childhood in post-WW2 Europe. What would you do if you didn’t have to work for a living, and had all your material needs and wants satisfied? I’d still design games, produce art, and find ways to teach people art, science and math. (Those aren’t incongruous; I believe that art and games have vast teaching potential.) When I wanted to work up a good sweat, I’d find someone who needs help moving, or go build something in a woodshop. I’d go pick up that Ph. D. in Astrophysics that I’ve wanted for years. I would spend more time with my family, working and playing (play is a child’s work in a lot of ways), learning and teaching. I love being productive and creating things and/or fixing things. I couldn’t sit still for long. Is it any wonder why I’m allergic to the Big Brother welfare state? What would you do in an MMO (or any other game) if you didn’t have to work for gear or levels, and all your in-game wants and needs were satisfied? I’ve already answered that a bit in my Game Tourism article, but to recap, I’d play the game. In other words, if the “game” is nothing but the loot treadmill and chasing levels, well… there’s not much there for me. I’d play with that for a while, and probably have fun, but it’s ultimately a shallow set of experiences to build a game on in my mind. There is a LOT more that can be done in game design. What is important to you? What motivates your actions? If you were freed from mundane concerns, what would you spend your time on? Are you a consumer, a constructor, or a contributor? What is the measure of your character? Shamus over at Twenty Sided has a great series of articles up on FUEL, specifically the game design aspect of procedural content, and how it fosters exploration in the FUEL world. It’s well worth reading through all of them if you have any interest at all in how games are made. Procedural content is a fantastic tool for devs. It multiplies art assets and labor, and makes higher level art direction easier in some ways. WoW made extensive use of procedural terrain generation, and I suspect pretty much any MMO has used at least a simple fractal generator or three, at least as a starting point for the huge swaths of land they tend to boast. Crafting all of that by hand just isn’t feasible. Hand-polishing places here and there, and lovingly crafting certain high traffic locations is smart, to be sure, but you can do a LOT with clever procedural algorithms. It’s a bit like brushes in Photoshop, or filters. They exist as visual “macros”, quick and easy ways to perform repetitive tasks, hopefully freeing up expensive artist time to work on art direction and specific set pieces. That’s a significant part of why Photoshop and Painter even exist. I could reproduce the Mona Lisa pixel by pixel in MSPaint, but why in the world would I want to beat myself up that way? Computers waste a lot of our time already, why not let them shoulder the load when they are good at it? OK, it was done in Renderman code, which is more like scripting than coding. Still, there was no painting involved, no 2D graphics program, just code and a 3D mesh from Maya. Everything that made this gourd’s coloring was typed up in a text editor. 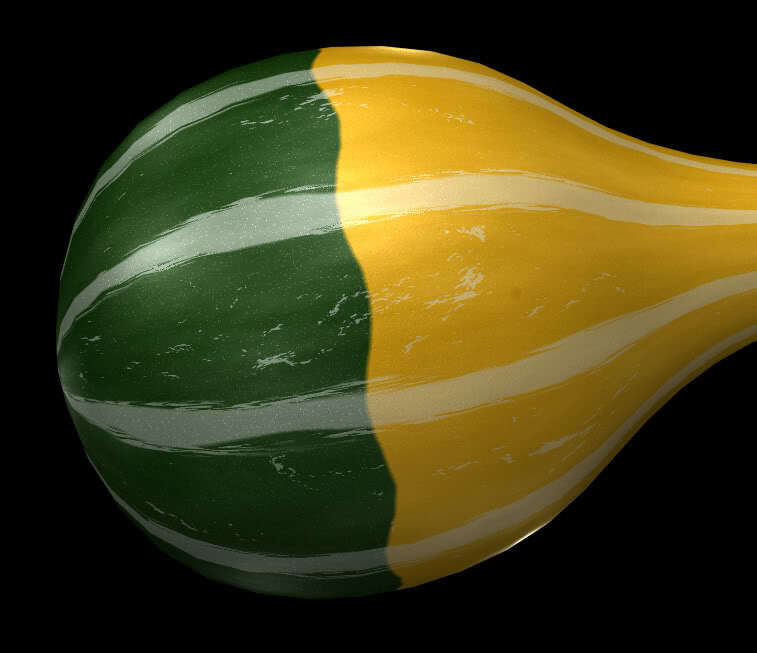 The assignment was to take a real gourd and replicate it with a simple Maya 3D mesh and the Renderman code. The color, texture, lighting, surface lighting properties and even slight bump mapping (I don’t think I used displacement mapping on that one) on that gourd are entirely text-based. If I, a paltry college student, could do that, imagine what the Pixar guys get away with. You can do a lot with code. That might sound a little odd, coming from me, an artist. I’m one of those newfangled artists, though, who sees great value in this sort of thing. I loved the “tree painting” tool I used for EA. It let me “paint” where trees should grow, how dense and how tall, on a Maya surface, and it would bring in preconstructed trees and scale them appropriately. I effectively painted forests onto the world. It really could have gone a step further and had the trees themselves be procedurally generated. Trees are perfect for that sort of thing. Roads are another natural fit, considering they tend to either fit a grid or flow with the terrain (itself procedurally generated). Sure, you need more constraints in how they actually behave so that they make sense, but it’s precisely that sort of process that game programming deals with all the time. It’s all in finding the simplest rules possible that will, when given a starting point and a bit of randomness, can produce something that looks natural. In a way, it’s telling the computer how to process rules like we teach art students. If you can give the computer the code equivalent of the rules and principles of art, like balance, rhythm, line, proportion, variation, motion, color theory and so on, it can generate a lot of art in short order. (All that artists do is apply the same rules to whatever ideas rattle around in our head.) It may not have the spark of creativity that makes the finest hand-crafted pieces as great as they are, or the rationalization that allows us to think a Pollock painting is high art, but computers, sufficiently educated, can do a lot. Though, it should be noted that educating them takes time and effort, as well as an artistic eye. Computers are also notoriously stupid (or exceptionally smart) in that they are rigidly bound to internal logic and thinking “inside the box”. They are fantastic tools, but must be used the proper way to be of any use. You can’t just put Deep Blue in a room and tell it to whip up the perfect video game. You can, however, use them to shoulder a lot of the inane repetition in the development process. Shamus describes it in depth over at his place, so again, I heartily recommend his articles. I’m mostly just chiming in as an artist, noting that I love it when the computer can help make my job faster and easier. I suppose that at some point, it could be argued that a sufficiently advanced computer could do the job on its own, but I’m confident we’re at least a few years from that situation. And, well… once that day comes, I’ll be telling the computer how to do the job I once did, so things will work out.